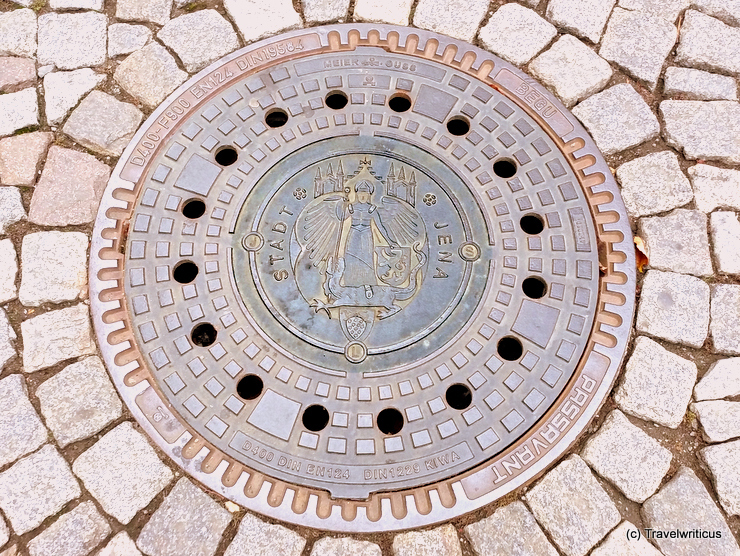 On the manhole covers in Füssen you can see the local city arms. 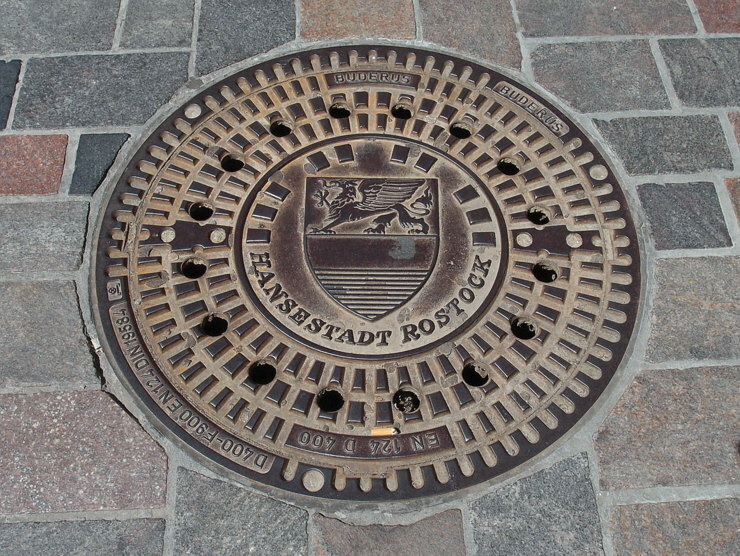 Even though the name of the town origins from a latin word (fauces) the coat of arms refers to the later interpretation of the word Füssen which sounds like the German term Füße. 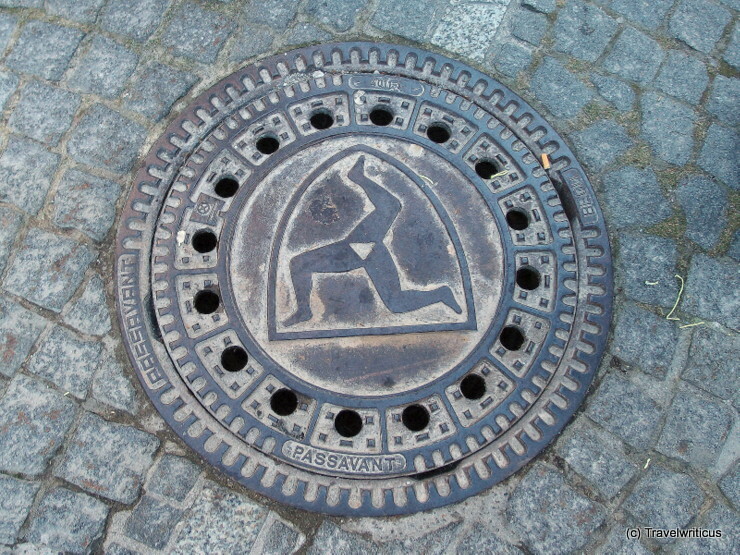 Especially in Bavarian areas, this term is used for legs. 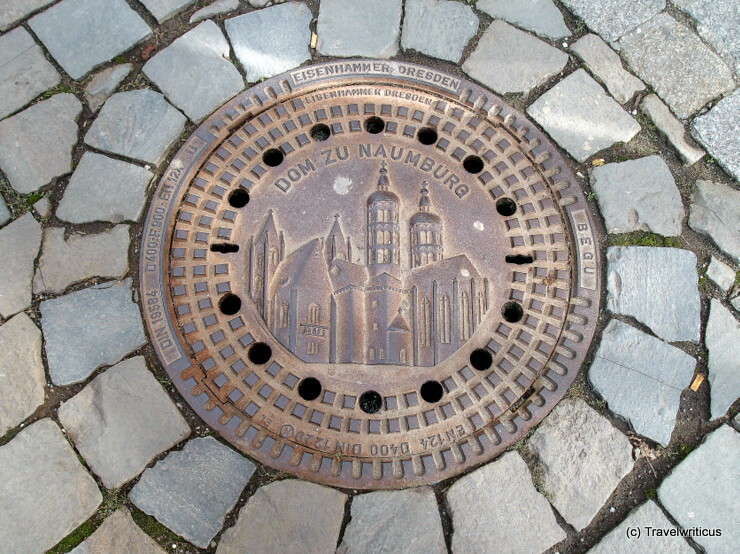 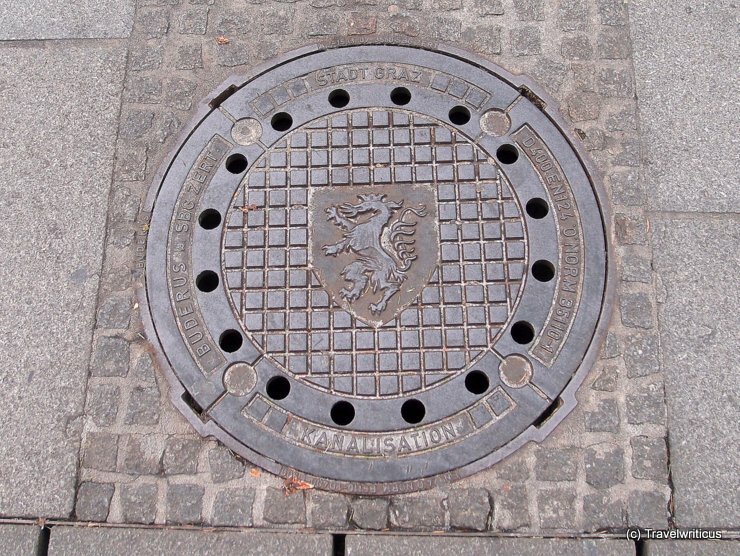 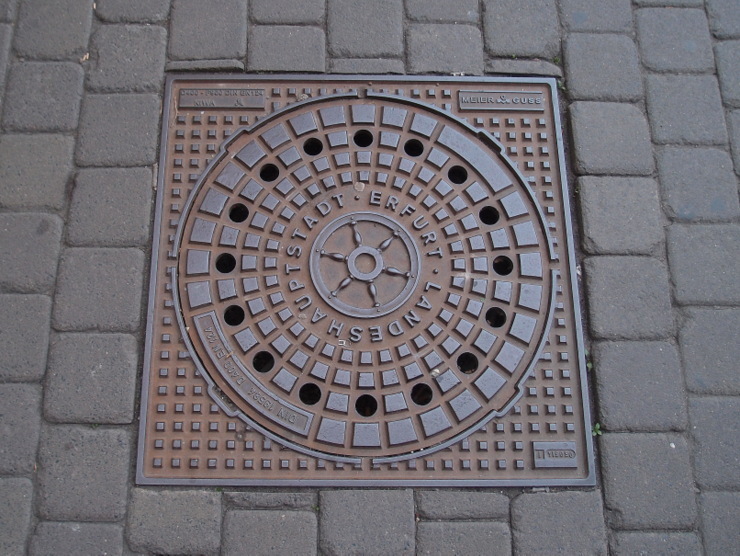 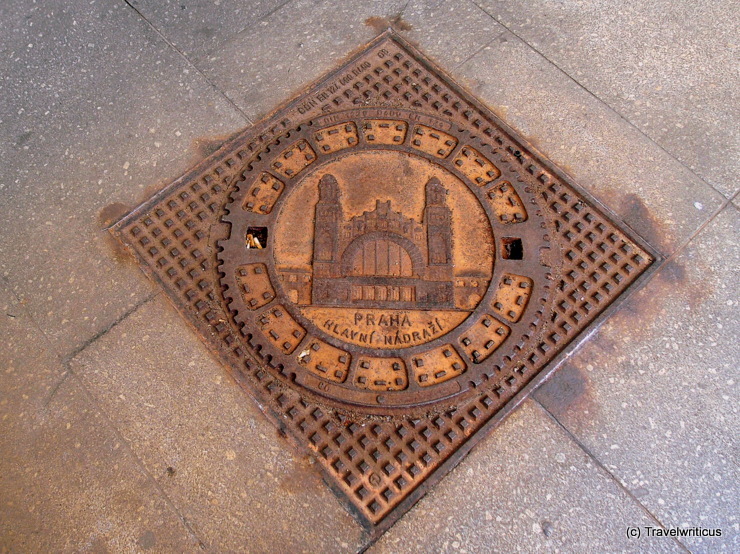 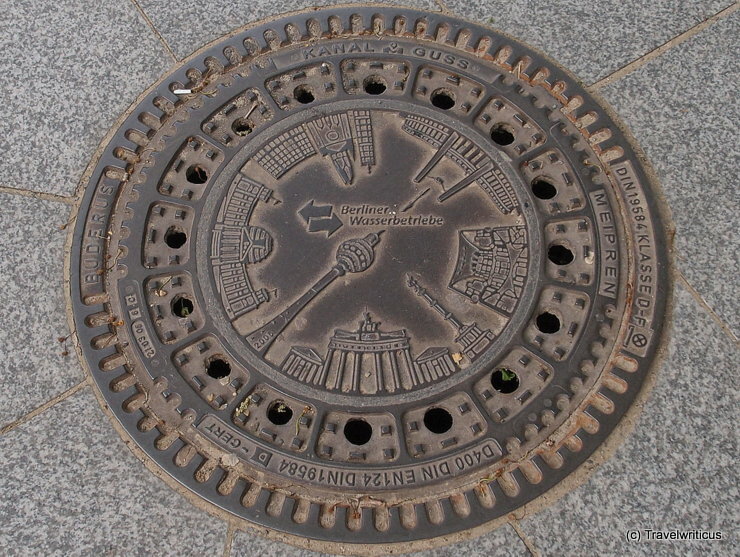 The manhole covers in Kühlungsborn show the city arms. 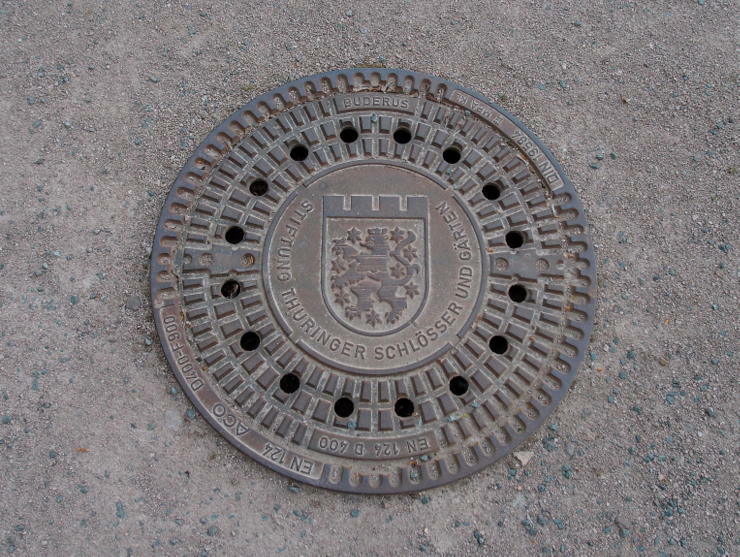 The coat of arms displays three silver seagulls in a blue field. 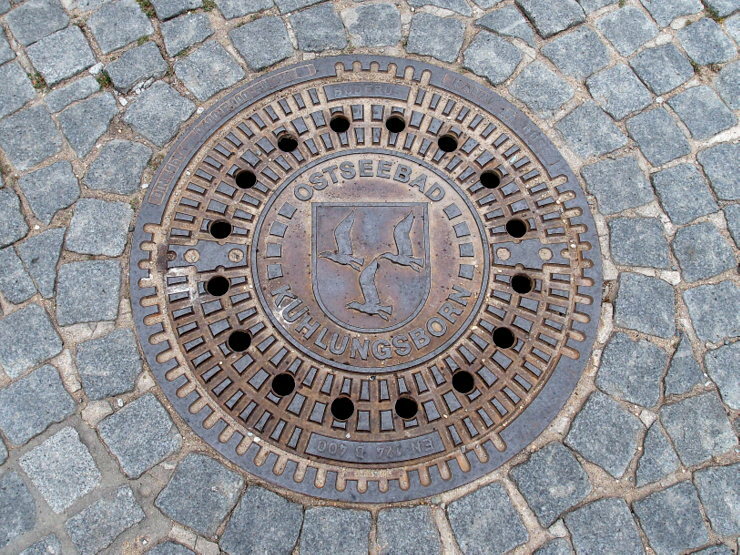 The title Ostseebad refers to the fact, that Kühlungsborn is a seaside resort on the Baltic Sea (Ostsee).